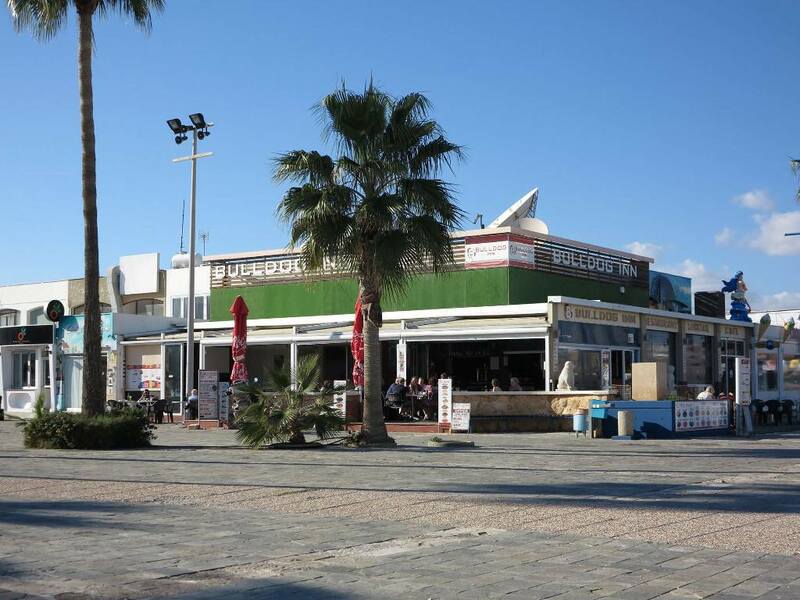 The Bulldog Inn Bar has long been a favourite chill out venue in Ayia Napa and a popular place to have lunch or a snack. 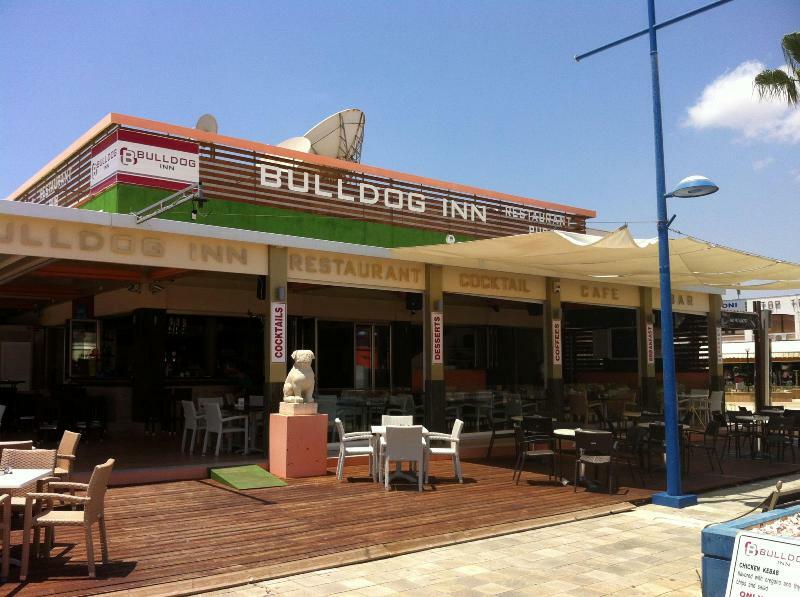 The Bulldog is located at Ayia Napa harbour and has spacious outdoor and indoor seating areas. The bulldog Inn is open most of the year round from early morning until late at night. It serves breakfast, lunch and dinner as well as drinks and refreshments. The closest hotels to the Bulldog Inn are Blue Harbour Boutique, Limanaki Hotel, Faros hotel and Aragma Apartments. Other bars in the same area are the Queen Vic and Aragma Cafe.